Ecogenetix: Research Highlight: Are Chinese Factory Workers at Risk from Exposure to Nanoparticles on the Job? Research Highlight: Are Chinese Factory Workers at Risk from Exposure to Nanoparticles on the Job? 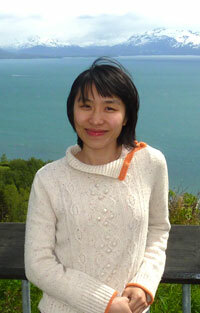 UW DEOHS PhD candidate Ling Cui defended her dissertation, entitled Exposure Assessments and Inflammatory Responses Among Workers Producing Calcium Carbonation Nanomaterials, on May 15. Her dissertation committee included Center members Harvey Checkoway and Michael Yost (Co-Chairs), Sverre Vedal, and Noah Seixas. The goal of Ms. Cui's research was to find out whether exposure to nanomaterials during manufacturing results in any adverse health effects. The research took place at the Calcium Carbonate Nanoparticle Factory in Shanxi, China. The nanoparticles manufactured there are used in plastics, ink, and adhesives. A nanoparticle is any particle that has at least one dimension equal to or smaller than 100 nanometers. One billion nanometers equals one meter, which puts these particles on the scale of atoms, molecules, and, in living organisms, of DNA and proteins. Their small size allows them to be inhaled deep into the tiny air sacs, or alveoli, of the lungs. Possible health effects of exposure to calcium carbonate nanoparticles include oxidative stress, fibrosis, and inflammation. Ms. Cui stated that workers, consumers and the environment are all at potential risk. Ms. Cui studied workers who had various roles in the manufacturing of the calcium carbonate nanoparticles. She collected personal samples from workers and area samples from inside and outside the factory. She found that the job with the highest exposure to individual nanoparticles in terms of number and surface area was the modification job in which workers modify the surface of the particles. There was also high exposure in workers who bag the nanoparticles in terms of mass concentration. She observed during her study that some portion of the tiny particles don't settle out of the air and disperse evenly throughout the factory. As a result, many workers might share similar exposure, despite the fact that their jobs are different. Four biological measurements were used to measure response to nanoparticle exposure: FEV1 (amount of air exhaled in 1 second); Blood Pressure; Exhaled Nitrous Oxide (a marker of inflammation); and sputum biomarkers (proinflammatory cytokines circulated in the lungs). She discovered some of these cytokines were significantly elevated in the high exposure group compared to the low exposure group. Wearing personal protective equipment was not mandatory for the workers, but some workers wore them voluntarily. Ms. Cui observed that a few workers wore medical masks. Workers in the bagging area, the dustiest area of the factory all wore dual-cartridge half-mask respirators offered by the factory, but they were not replaced frequently enough. Ms. Cui reported that the factory workers are mostly content with their jobs and turnover at the factory tends to be relatively low. Older workers have lower job turnover than younger workers. Workers in the study had been in their jobs for an average of 6 years. Ling Cui's research was supported in part by a pilot project grant from the Center for Ecogenetics and Environmental Health. We congratulate her on a job well done!